This article will discuss how to build a real-time request-response API using ClearConnect. 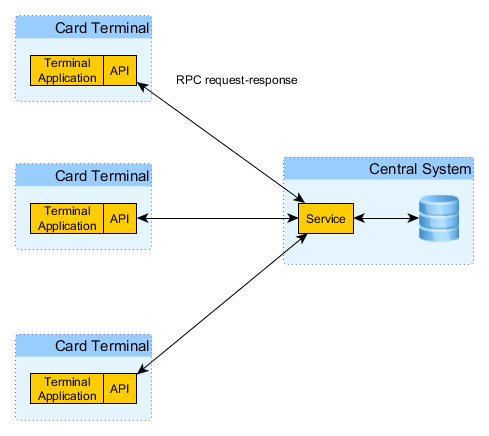 Work through defining the API used by the terminals to query the credentials of a scanned card. Implement the API using ClearConnect. Define the skeleton of the service that supports the API (we will not actually be building the full card checking system). This is the code that provides the API implementation. As you can see, with very little code the API (albeit a single method API) has been implemented for clients to call. Next we look at the server-side. This article has shown how a request-response API can be implemented using the ClearConnect platform. The RPC mechanics are simple to use and provide a very transparent manner for writing logic that needs to be invoked remotely. Ramon is a core architecture developer of the ClearConnect platform and has over 15 years experience designing and maintaining real-time data distribution systems.